The Terrace of the Leper King ព្រះលានស្តេចគំលង់ Preah Learn Sdech Kunlung – is a terrace wall with deeply carved nagas, demons and other mythological figures. It was built in the Bayon style just north of the Elephant Terrace. 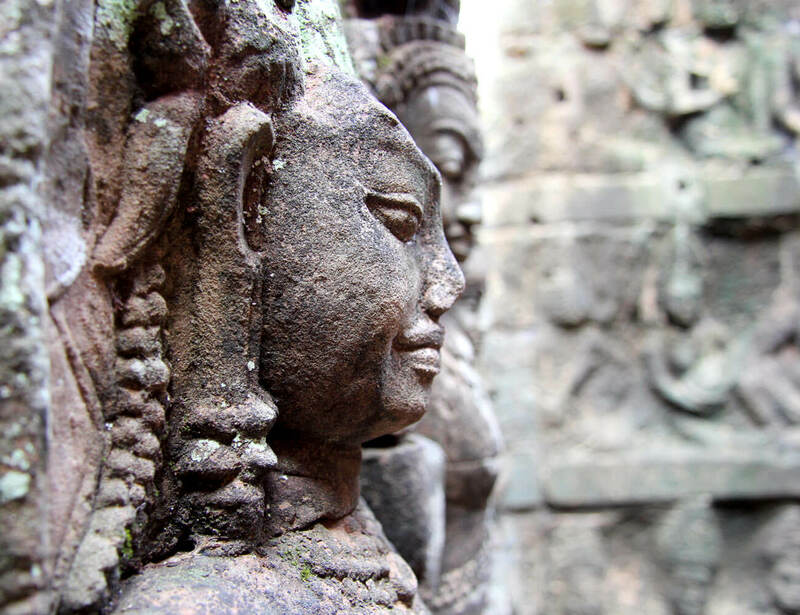 It is not clear however whether it was built during the reign of King Jayavarman VII. The Terrace is named (or rather misnamed) for the seated statue which once occupied the platform and has now been moved to the National Museum in Phnom Penh to be protected. When the statue was first discovered, it had massive discoloration and moss growing on it resembling a person with leprosy. The statue was formerly thought to represent a legendary “leper king”, but is now considered to represent Yama – the Lord of the Dead. People believe the terrace itself might have functioned as a royal cremation platform. The stone monarch figure is completely naked, his hair is plaited and he sits in the Javanese style. The legs are too short for the torso and it has rounded forms, lacking the strong protuberances of manly muscles. 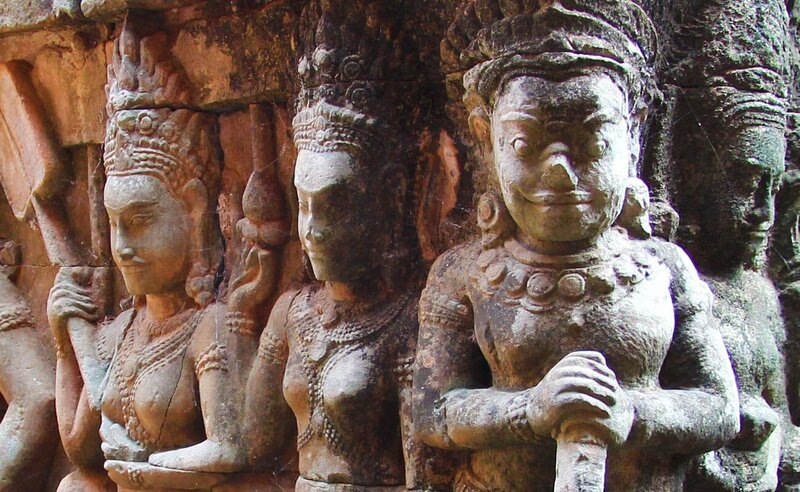 Despite the defects, he has many beauties and as a character he is perhaps the masterpiece of Khmer sculpture. Whilst his body rests his soul boils within him.